This is the fifth novel by Zoe Miller, an Irish author. I had not read her books before but entered a giveaway on her Facebook page and won a copy. It arrived in post with nice handwritten note inside and as the cover was so pretty, it skipped to the top of my TBR pile. This is the story of four childhood friends with a secret. After one of them is found at the bottom of a cliff, the friends start to wonder if the secret will come to light. Flicking from 1970's through to today's times, the reader is slowly introduced to the four main characters and their families. I enjoyed reading about the friends in the 1970s and 1980s but not so much in the current times. There was far to much emphasis on the characters houses, possessions and what designer labels they were wearing. The characters themselves were a little weak and I felt nothing for them. The writing in the novel is nice and easy to read, chapters flow along but I struggled to even know who's thoughts I was reading more than once. The cliffhanger was not too obvious from the start, but I think the secret was. I will definitely read more of the authors work, I am a big supporter of Irish Fiction writers, and hope it is a case of this just not being my cup of tea. This book is published by Hachette Ireland and is widely available now. 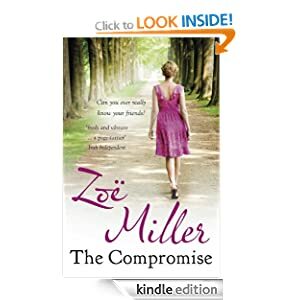 Zoe Miller can be contacted via Twitter @ZoeMillerAuthor and Facebook at Zoe Miller.